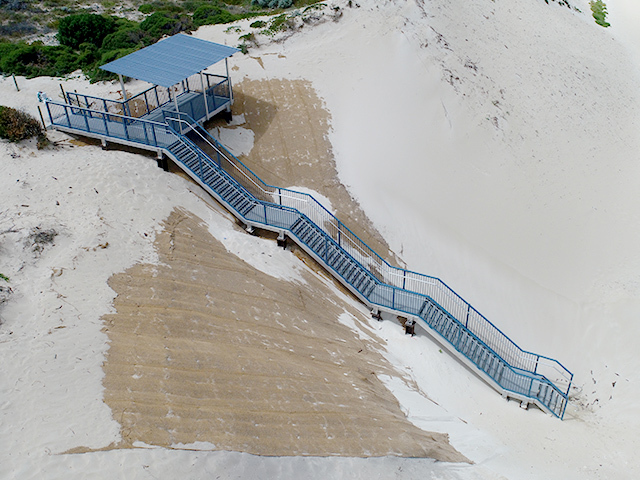 The locals from the ocean-loving community of Two Rocks, WA, can now safely access their beautiful beach again, thanks to a sleek new access structure that has been built to withstand the natural forces of a coastal location. 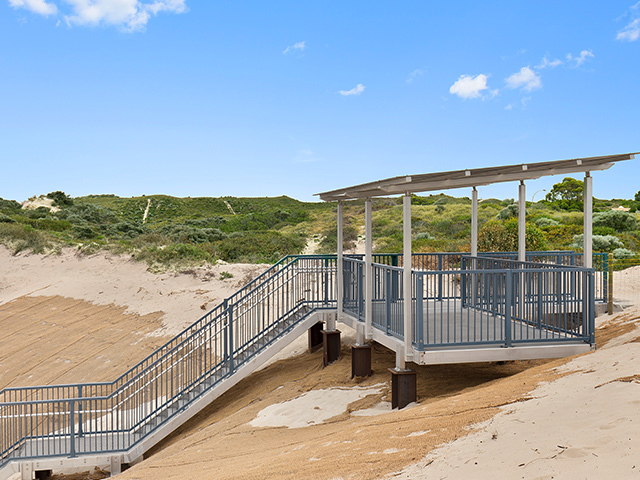 The aluminium access structure, complete with viewing platform, replaced a previous timber structure that was damaged by severe storms in 2017. 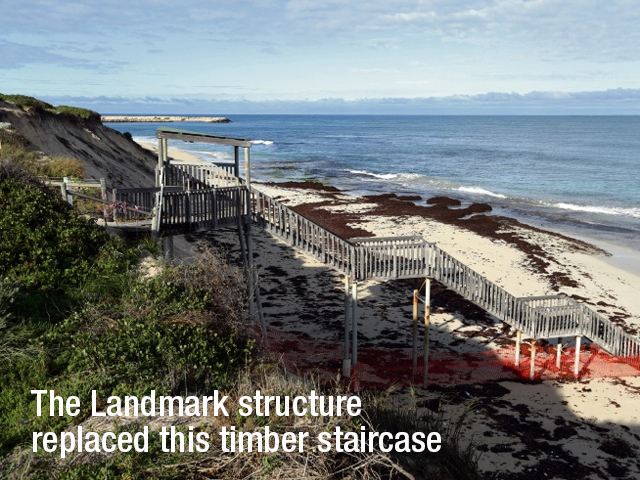 The structure, built in 2002, was demolished by the council in October 2017, and so the wait for beach access began. 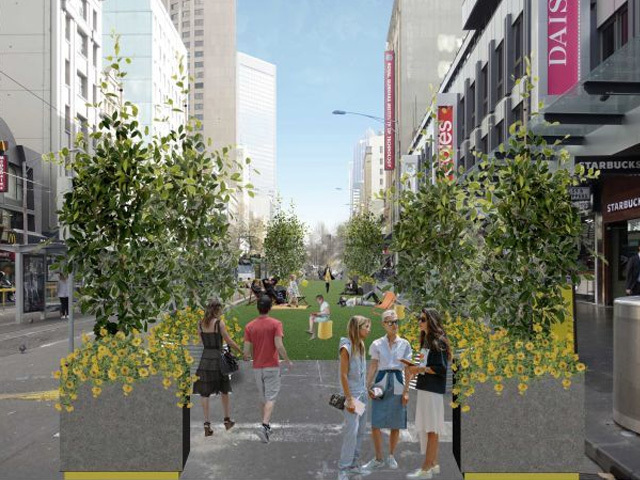 After weighing up the options and consulting with the tight-knit community, the City of Wanneroo chose to fund the building of a new structure, close to the previous structure’s location, rather than move access to a pathway 100 metres north. 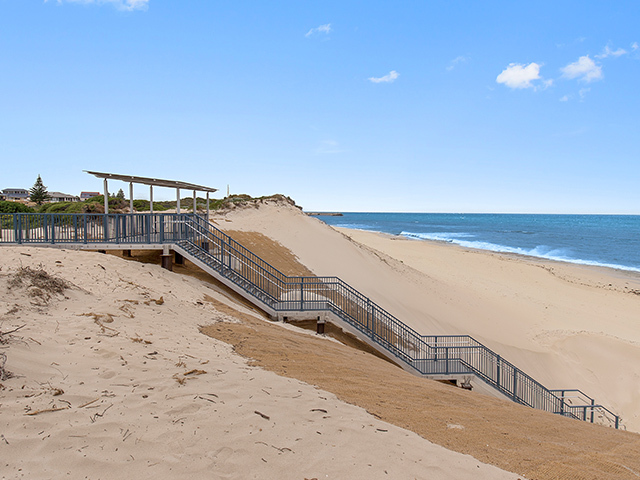 Due to the nine-metre drop from the top of the dune to the beach, the project presented significant challenges, all overcome by the Landmark design team in consultation with the Council. The structure is supported by 24 piles driven into the bedrock under the sand, with the surrounding dune stabilised with Coir-Mesh matting. 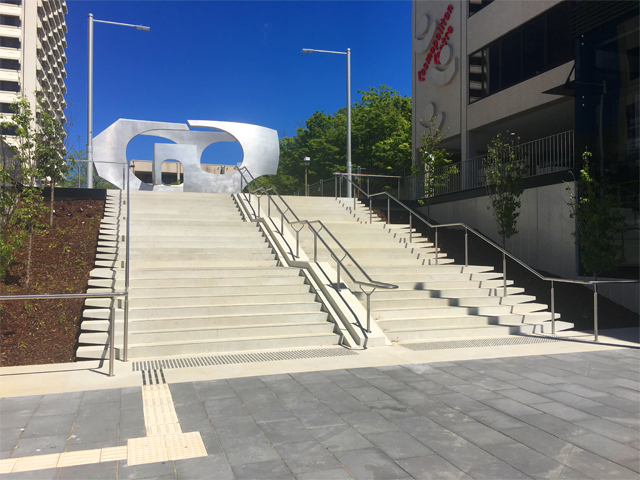 With 50 rises from top to finish, the staircase also includes two landings and the 5x3-metre landing at the top, presenting quite the challenge for local exercise junkies. 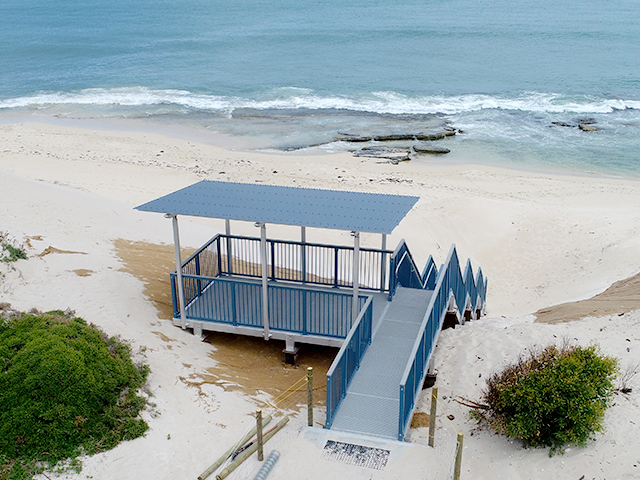 The corrosion resistant-aluminium structure is an ideal solution for beach environments, as is the FRP open-grid decking option as it is non-slip, virtually indestructible, and allows water and sand to pass through continually. Aluminium balustrades panels and handrails complete the eye-catching structure, together with a custom orb roof over the landing deck. 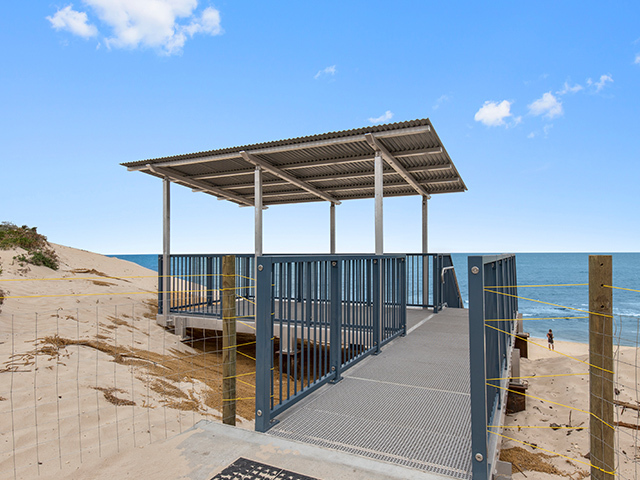 With over 32 kilometres of beaches, Wanneroo City Council know a thing or two about beach access, and the Two Rocks structure represents the third structure designed, built and installed by Landmark. From start to finish, the structure took four weeks to install, and was warmly welcomed by the grateful community at the grand opening in February who were excited to finally access their beloved beach again.